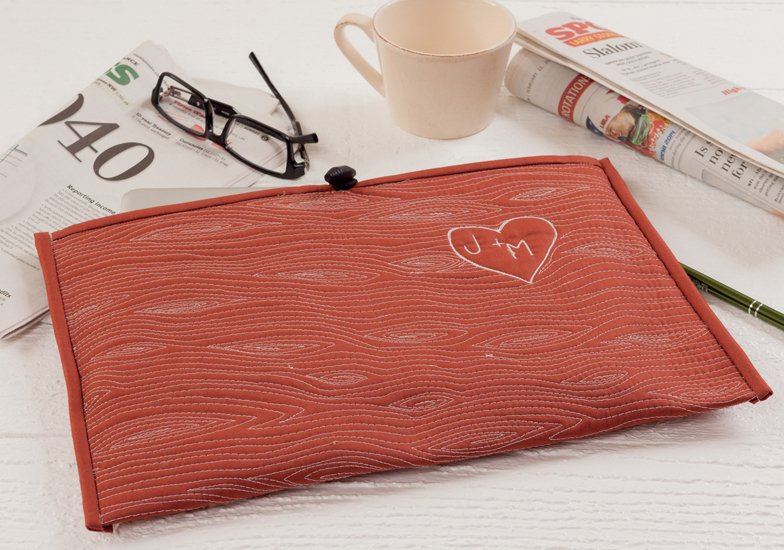 I have always quilted my projects using my Bernina machine. At first I relied solely on the walking foot. In time I got more confident and used the stitch regulator. Nowadays, I use the darning foot most of the time. Although practice has made free motion quilting easier for me (not many feathers yet! ), I still buy books or take classes on free motion quilting whenever possible. 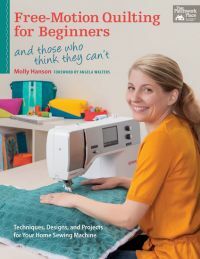 If you want to start quilting your own projects but are afraid to give it a try, I just got this book for review which might just help you get motivated: Free-Motion Quilting for Beginners by Molly Hanson. - The introductory sections cover all the basics which usually intimidate beginners: tools you will need, how to prepare your project for quilting, how to set up your machine (she addresses thread tension, yeah!). 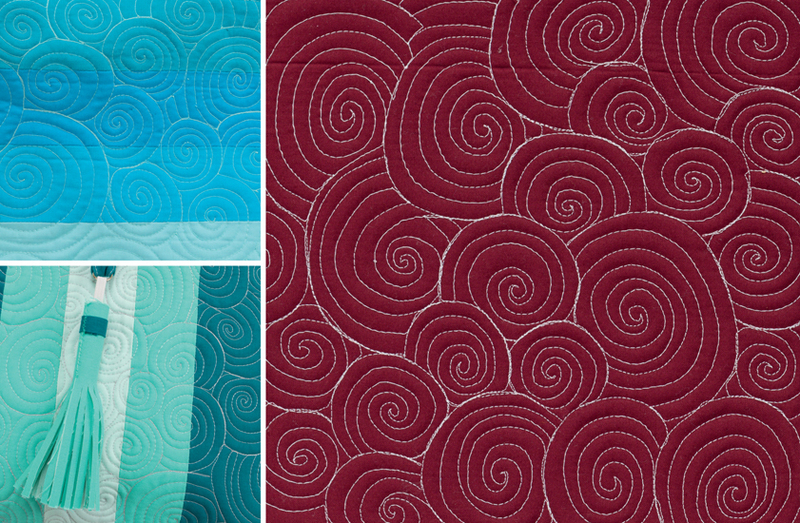 - I like her idea and examples of sketching free motion designs - I had no idea it was a good way to improve free motion quilting. - Molly proved I am not totally crazy: it is OK to practice on actual projects (which I have always done with few exceptions, such as when I am testing wild ideas as in here). - The photographs are very clear, important because we can see that not every stitch needs to be perfect in order for us to end up with beautiful free motion work. - The [great] projects are perfect for the techniques she is demonstrating - their manageable size will increase confidence as we try each free motion design. Thanks so much for this review. It's so hard to find "just quilting" things out there.